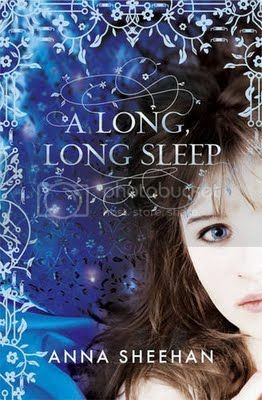 This is a science-fiction re-telling of the Sleeping Beauty story. Depending on how you look at it, Rosalinda Fitzroy is either 16-years old, or well over a hundred. Exploring a sub-basement, Bren is startled when he finds a human girl sleeping in a stasis tube, and after accidentally hitting the wake sequence, he attempts CPR, literally, "kissing" her awake. It turns out Rosalinda is the heir to a multi-planetary empire. While she was supposed to be in a short stasis, a global disaster known as the Dark Times hit, and forgotten, she ended up sleeping for over sixty years. I really struggled for the first half of the book. Rosalinda is understandably, a disaster... technology, culture, everything has changed while she's been out and feeling physically weak from being in stasis for far, far longer than what is considered customary or safe, naturally, she feels completely overwhelmed. Even though her feelings seemed reasonable considering the circumstances, I was annoyed by how timid she was and how she constantly put herself down. She doesn't consider herself terribly bright and even before being accidentally in stasis, seemed like a bit of a lost soul. I found her very difficult to like at first. As she slowly starts to open up to Otto, a telepathic alien classmate, readers gradually get glimpses of her tragic past. The privileged daughter of wealthy, elite business-owners, who use stasis on a regular basis, when they are traveling for business, as a punishment (kind of a like a "time-out" only infinitely worse) or just when they feel like they need a break from parenting, Rose has been robbed of any kind of normalcy since day one. After a while, she even begins to crave being "stassed" - getting high off the psychedelic dreams she experiences while in her stasis tube. Her parents truly come off as monsters... and it turns out that they've been inadvertently responsible for the Dark Times catastrophe as well. As Rose is coping with all of this, there are dark hints of a murdering robot that's been sent to assassinate her. Obviously, there are a lot of people who would benefit if Rose could more permanently disappear. Who sent it? Who can she trust? How will she escape from this tireless death machine? I was surprised also, that while there is a hint of romance, it doesn't feature heavily in the story. Ultimately, Rose has to learn how to be her own person, discovering her own unique abilities and standing up to the board of directors who are running her family's business in her stead. 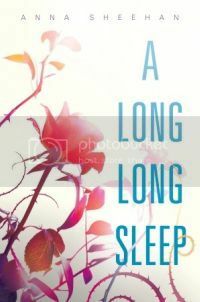 I'll recommend this book to readers who enjoyed Across the Universe by Beth Revis with a caveat to stick with it, A Long, Long Sleep gets better (much, much better) as you go along. I'm really excited to read this one, it sounds super interesting. Glad you told me to stick with it though, I start to lose interest if it doesn't grab my attention right away but I like knowing ahead of time that I just need to keep reading and things will improve:) Nice review! I wish I had a warning before I dug into this one. It would have saved me a lot of frustration! I liked the way information was slowly revealed and the twist at the end.